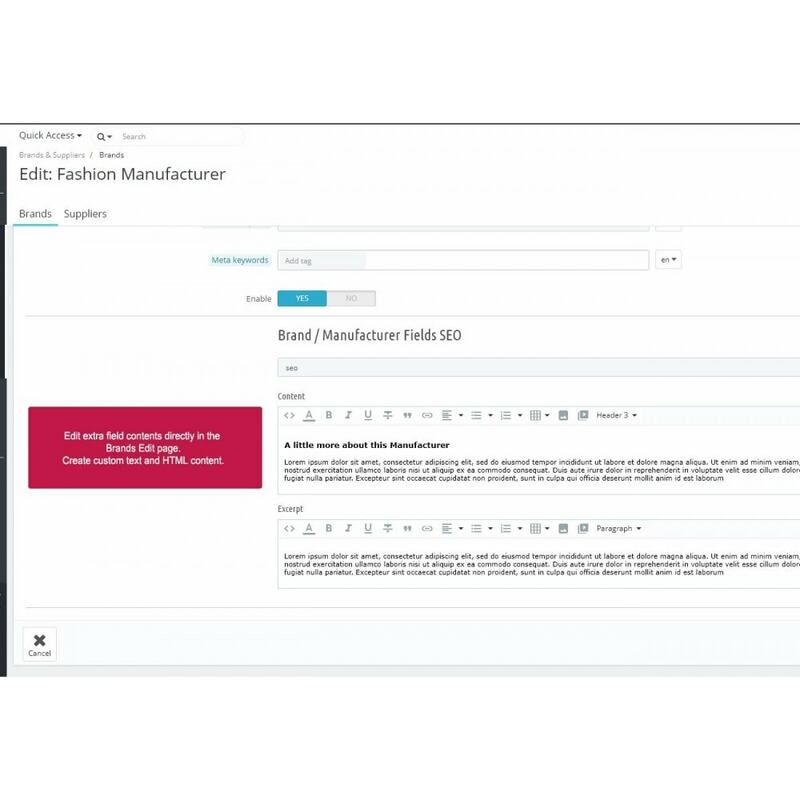 Add extra fields to your manufacturers and display them anywhere on your brand / manufacturer pages with the ability to create html / rich text field blocks and the option to make your fields automatically expandable and collapsible when displayed on your store brand / manufacturer pages. 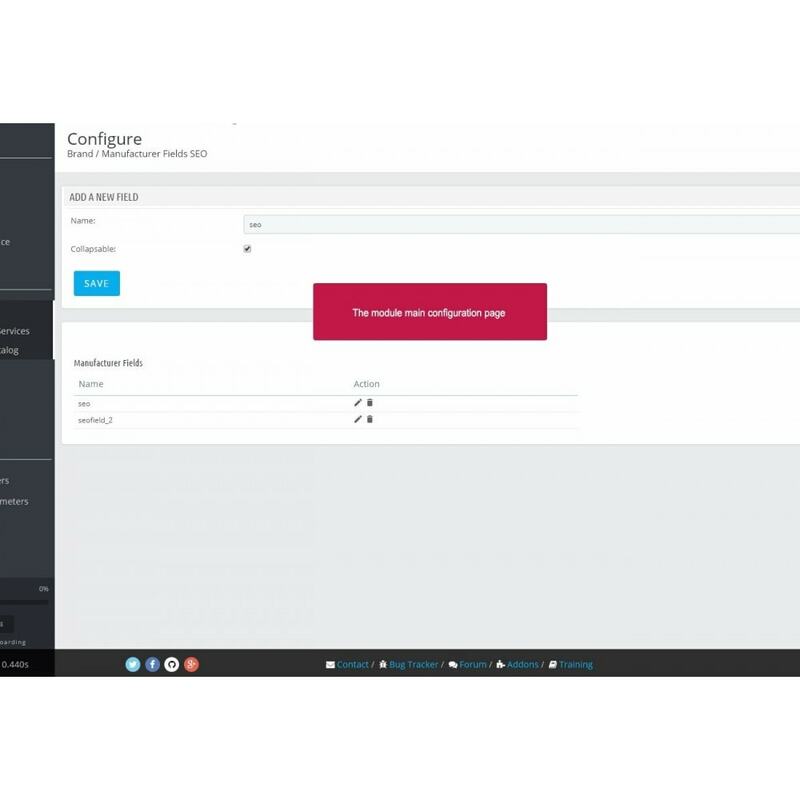 The module allows you to display more than just the description field on your brand / manufacturer pages, but allow you to manage additional blocks of text or html which is both useful for the customer and for optimizing your manufacturer pages for SEO. Extremely useful for displaying additional blocks of text / information / html / images and videos on your brand / manufacturer pages. The module comes packaged with a readme PDF which contains detailed instructions on how to install and use the module.